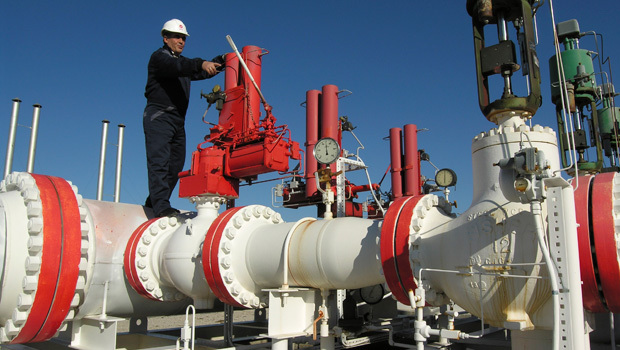 The State Oil Company of Azerbaijan (Socar), and its partners, BP from UK, the Turkish State-owned company Boru Hatlari Ile Petrol Tasima Anonim Sirketi (Botas), awarded the engineering, procurement and construction management (EPCM) five years contract to the Australian-based engineering company WorleyParsons for the construction of the Trans Anatolian Natural Gas Pipeline (TANAP) project, the master piece of the Southern Corridor Pipeline giant project to connect the gas reserves of the Caspian Sea to Europe. This TANAP EPCM contract covers the pipeline lay out and the construction of the gas compression stations. 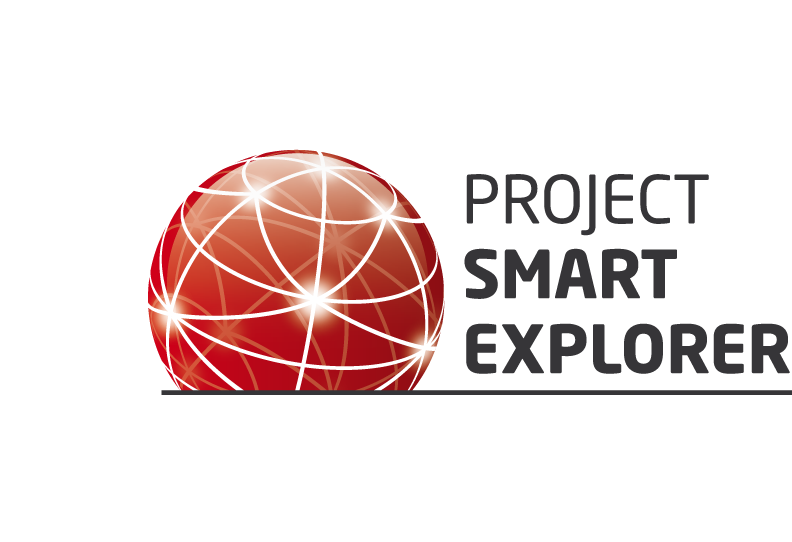 WorleyParsons will provide Socar and its partners with project management services including the design, engineering, construction, procurement and contracting operations. Crossing Turkey from east to west, the TANAP project has been announced in November 2011. Since BP and its partners Socar, Total and Statoil made the final investment decision to proceed with the Azerbaijan Shah Deniz Full Field Development, all these stakeholders had move forward on the transportation scheme. 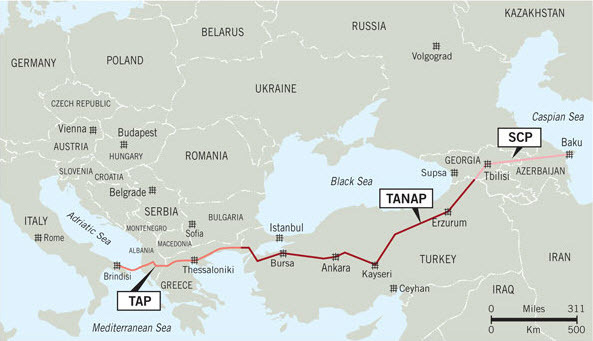 With 1,841 kilometers, TANAP will received the natural gas from the South Caucasus Pipeline (SCP) Expansion currently in construction in Azerbaijan and will connect in Greece with the Trans-Adriatic Pipeline (TAP) project planned to join the southern Europe pipeline system in Italy. In December 2011, Turkey and Azerbaijan signed a memorandum of understanding (MOU) to establish the TANAP joint venture with the contribution of their respective national oil companies, Botas, TPAO and Socar. When BP and its partners Total and Statoil made the final investment decision (FID) on the Shah Deniz Full Field Development on December 2013, they had the opportunity to exercise their right to take stakes in the strategic TANAP project. In December 2013, only BP decided to take this opportunity as the operator in Shah Deniz while Total and Statoil preferred to stand away in respect with the low financial return of TANAP investment. Originally budgeted to $4 to $5 billion capital expenditure, TANAP last estimations have spiraled up to $12 billion. In the same time the fees required by the Turkish Authorities to cross the country did not help the financial balance. Designed by the US engineering company Bechtel, TANAP will have the capacity to transport 16 billion cubic meters (bcm) of natural gas per year. From these 16 bcm of natural gas shipped from Azerbaijan, 10 bcm should transit to Europe through the Trans-Adriatic Pipeline and 6 bcm will be distributed in Turkey for the local consumption. In a second phase, TANAP could be doubled to reach 32 bcm. Socar and its partners, BP and Botas have selected WorleyParsons for TANAP EPCM contract in expecting the completion of the Trans Anatolian Natural Gas Pipeline by 2018.
as well as the Bernie Madoff’s in the world. even possible. These users believe that document sharing is the most essential feature of your web-based collaboration session.